EVGA LED Controller 1.2.1 was released, this new version of the LED Control software allows you to control the LED light on the EVGA Pro SLI Bridge. 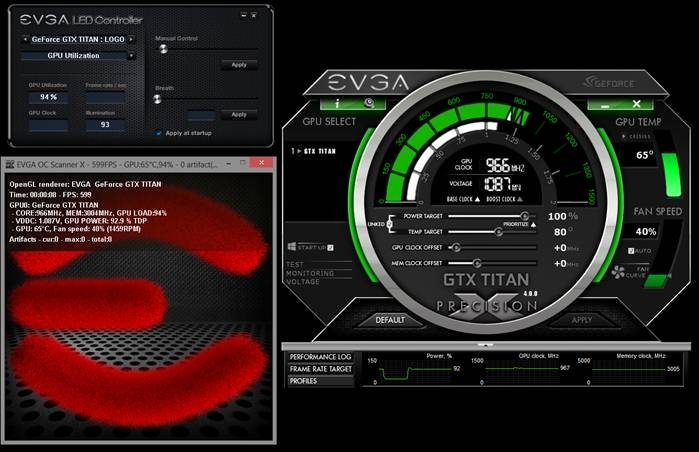 Please note this tool only supports the “reference” style GTX 780/TITAN cooler and/or EVGA Pro SLI Bridges. 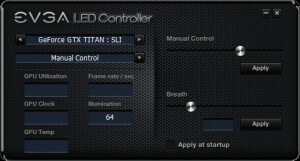 EVGA LED Controller application is available now! You can download it here. The first selector at the top left lets me select the card logo and/or SLI Bridge I want to adjust. 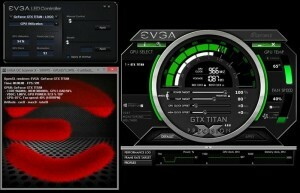 In the example above, I have selected to control the EVGA Pro SLI Bridge that is connecting my GTX TITAN’s. The selection directly below that lets me select various different options. IMPORTANT NOTE: Anything other than manual control REQUIRES EVGA Precision X to be running in the background! 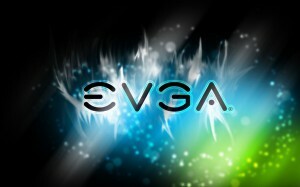 For FPS Monitoring make sure that you have FPS monitoring enabled in EVGA Precision X. Lets select GPU Utilization. 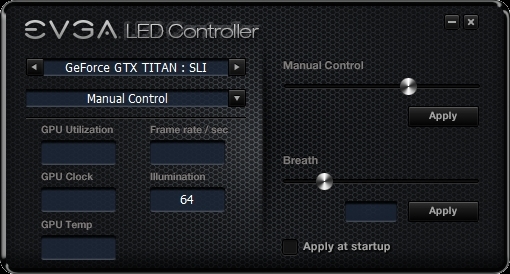 When EVGA Precision X is also running in the background (or minimized to system tray) the LED on my EVGA GTX TITAN, 780, 690 or Pro SLI Bridge will automatically adjust based on the GPU Utilization. In the below image I am running EVGA OC Scanner X to increase my GPU utilization to 94%, thus the illumination on my EVGA GTX TITAN is set accordingly. When I close EVGA OC Scanner X, the LED turns off. Lastly, the apply at startup will ensure that my custom LED settings will always apply on Windows boot!